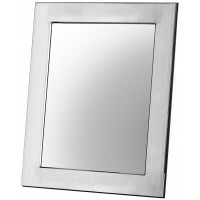 Our range of sterling silver mirrors is perfect for all special occasions and made to the highest quality; dignified, refined and always beautiful. 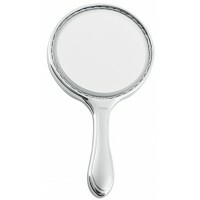 “Mirror, mirror on the wall……………” If you’re looking for something special to add to your armory of beauty accessories, then madam, look no further! 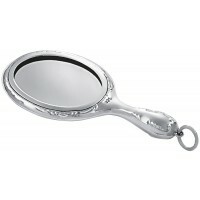 Whether it is that perfect mirror for your dressing table, hand bag or simply add a bit of silver flare to your home, we are sure you will delight in this range of Victorian and vintage inspired designs. 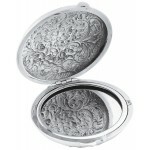 Surely there is no better way to reflect true beauty……Our selection of gifts can also be engraved to add a further personal touch. 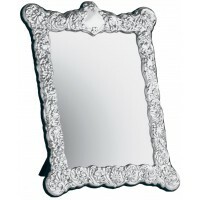 GT159 Victorian Style Mirror Pendant Sterling Silver Ari D Norman A Victorian style mirror..
GT2024 Plain Vanity Table Mirror Sterling Silver Ari D Norman Enjoy everlasting appeal wit..
MIR408 Embossed Victorian Table Mirror with Velvet Back Sterling Silver Ari D Norman ..
MIR409 Embossed Victorian Table Mirror with Velvet Back Mirror Sterling Silver Ari D Norman .. 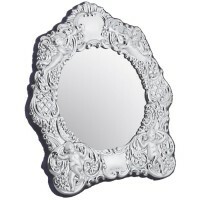 Inspired by the clean cut lines of the Art Deco period, this pattern silver table mirror with wooden..